Halloween is right around the corner and frankly I think it’s been the most relaxing Halloween ever. I bought the kids costumes weeks ago at a Halloween outlet. I set the kids loose in the store and they came back with some great costumes. My little boy chose Captain America. It has a mask, and I hate masks. I lose my kids easy enough without bumping into sixty other kids dressed the same way. I hate not being able to identify my own child. But he was set on being an Avenger along with every other boy in his school. My daughter decided to be a gangster girl. She’s got the black pinstripe suit and the black necktie. Of course, she personalized it by adding some bling with a pink sparkle fedora hat. Halloween is a fun time of year whether you have kids or not. It’s just more complicated when you have children. 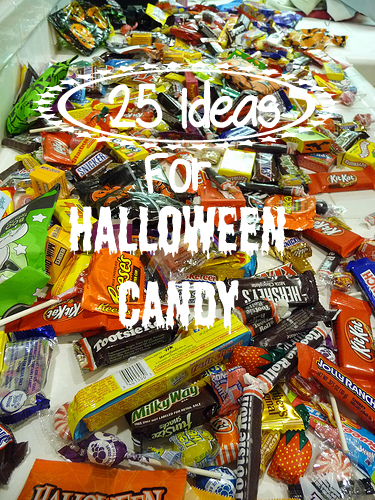 While I love to let my kids indulge a little bit in their Halloween candy, I cannot stand Halloween Hangover. It drives me insane. The kids are crabby, rude, and sluggish. Sugar does affect your body, as any parent with a child will tell you. And, according to Urban Dictionary, Halloween Hangover is actually a a recognized definition. Even though I’m not sure that Urban Dictionary is a credible source I could use for my next term paper or anything. The point is, I’m right. There IS such a thing as Halloween Hangover. And if I let my kids have to much candy, they suffer from it. And I as the parent suffer as well. Gratefully there is a cure for it. 1. Give the kids a night off. We let them indulge for one night and then they are done. And we are done. It’s awesome. Besides, they’ve burned off a few calories. Might as well let them enjoy a few pieces, right? 2. Send it out to other trick or treaters. We do Halloween in shifts. My husband takes them out around half the neighborhood and then I take them out around the other half of the neighborhood. When they get home from the first shift they dump all of their candy out on the floor and I start recycling. The things we want to keep I throw in a bowl, the stuff we don’t I throw back in the trick or treater bowl and give it to trick or treaters who arrive at the house. Whoever is the last person of the night to trick or treat at our house before the lights turn off loves it because they usually get a ton of candy from our second trip around the neighborhood. 3. Freeze it. Out of sight, out of mind? It is a lot harder to eat frozen chocolate, so put it in bags and throw it in the freezer. My friend had children who had severe food allergies and she would have them freeze the candy or cupcakes they got from parties so the kids didn’t feel that they were just throwing out a gift from a friend. In a few weeks they forgot about it so she would throw it out when she was cleaning out her freezer. 4. Party Time! Candy is a great pinata stuffer. Package up the candy and use it for your next fiesta . 5. Mail It. college kids don’t get much candy trick or treating. Your college kid might enjoy getting a post Halloween surprise she can share with her roommates. 6. Make it An Advent Calendar: Use your leftover candy for a Thanksgiving , Chanukah or Christmas advent calendar. 7. Use it for Scientific Research Purposes: There is a fantastic site called Candy Experiments. They take different candies and make them into science experiments. What a fun and educational way to get rid of your candy! 8. Send it to the Soldiers: Sites like Operation Shoebox allow you to donate candy to the troops. What a great idea (and a great cause) to teach kids about service and sacrifice. 9. Donate it: Food banks, homeless shelters and nursing homes would love a sweet treat. Some places may have restrictions as to donations, so call ahead before donating. Other organizations like the Ronald McDonald house will accept candy too. 10. Save it: This year we are saving a lot of our candy for gingerbread houses. I am excited that my sweet neighbor will be teaching me how to make gingerbread houses from scratch. She’s told the kids to save their candy and they are so excited to make and decorate their gingerbread houses this year. 11. Turn it into Money: some dentist and doctors office’s allow you to donate your candy in return for money. As a parent you can also volunteer to cash in their candy for money. I gave this option to my children this year and they looked at me like I was crazy. So this may not work on every kid. 12. Give it to Your Teacher: Your child’s teacher gives out awards to students. Sometimes these treats have to come out of their very own meager budgets. Volunteer to donate some candy–your teacher will be grateful! 13. Appreciation Gifts: Pack up some candy and put it in cute cellophane bags or a small box and send them off as appreciation gifts to someone who could use a sweet thank you. 14. Create: There are some creative, budding artists out there and creating with candy is a great way to use it up. Your kids will be having so much fun they won’t even realize they aren’t eating it! (Or they might be like my kids and apply the 1-1 rule. One piece of candy on the project to one piece of candy into the mouth). 15. Eat This, Not That: If you have older kids, it might be a great idea to teach them about which candies are better for them to eat. This is great for a teen who might be taking a nutrition class and needing a project idea. Learning to make good choices in the treats they consume also helps them make better food decisions overall. And it’s a great reminder for us adults too! 16. Bake With it: Last year I posted this recipe for leftover Halloween candy cookies from EatingWell.com. You can always jazz up brownies or cupcakes by adding Oreos, Snickers, Butterfingers or other candy treats. I have even made Sour Patch Kid Cupcakes for my brother in law who loves Sour Patch Kids. 17. Trail Mix: You can make leftover candy into a little bit healthier trail mix. Keep leftover Reese’s Pieces and use them in our PB&J Trailmix. Use M&M’s in traditional trail mix. Or jazz it up and make a chocolate trail mix. You decide! 18. Math Time: Hide it away and bring it out when it’s math time. It works perfect for teaching counting and multiplying. 19. Reward System: Having trouble getting your kids to do their chores? Put a jar out and each day they do their chores, homework, or go above and beyond and do extra chores they can earn candy. At the end of the week, give the kids the candy jar, rent a movie and enjoy some quality fun family time together. 20. Switch Witch: I love this idea for the Switch Witch. Let the kids indulge that night and then have them leave their candy out for the Switch Witch. That night the Switch Witch comes and exchanges their candy for a nice toy. 21. Celiac and Domestic Violence: October is Domestic Violence Awareness Month. Donate to your local women’s shelter, YMCA or Boys and Girls Club to help out. You can also donate gluten free candy to your local Celiac chapter for kids who attend meetings. Many of these organizations and groups are non profit and would love to have a sweet treat for those who come out to meetings. 22. Diabetes Awareness: With a husband who has Type 1 diabetes, Halloween now affords my husband more freedom than he had as a child when all sugar was considered “bad.” Now he can enjoy a few candies on Halloween night. He just needs to count the amount of carbohydrates in a candy and take the appropriate amount of insulin. With Diabetes Awareness Month in November, educate yourself on diabetes and see what candies are the best for those with diabetes. 23. Iron Chef Night: A fun family activity (or a birthday party) might be to do an Iron Chef Night. Have kids or family members jazz up a boxed cake or brownie mix with leftover Halloween candy toppings. The great part about it is most kids just pile all of the allotted candy on top of their cakes. It usually looks inedible so you just throw the whole thing out afterwards. Non candy awards and medals can be given out for ugliest, funniest, or most creative dessert. 24. Popcorn Popping: With company coming for the holidays, make up some candy popcorn to have around as treats to accompany cold weather movie nights. It’s easy to jazz up regular old popcorn and is quick and easy to make. No baking required! I love this Twix Caramel Popcorn, Butterfinger Popcorn, Snickers Popcorn, and even a Popcorn Cake.